St. Michaelis is a landmark of the city. It is dedicated to the archangel Michael. 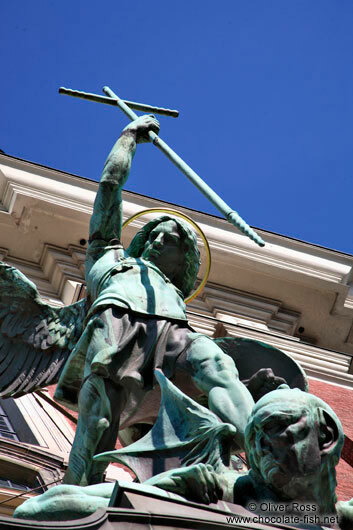 A large bronze statue, standing above the portal of the church shows the archangel conquering the devil.